Preparing graduate students and post-doctoral students across all disciplines to be able to translate technical work into value as a new venture or in industry settings. Bootcamp #1: Saturday, Feb 2nd - 9:30 a.m. to 4 p.m.
NSF I-Corps 1 Training during semester: March 11th, 13th, & 18th - 6 p.m. & 10 p.m.
Bootcamp #2: Saturday, April 20th - 10 a.m. to 3 p.m.
Postdoctoral Students, Ph.D. MS and MBA students should send an email to Jesse Dieker (jdieker@berkeley.edu) for enrollment instructions. Enrollment is limited to 30 students. Interested students should join the waitlist after these seats are filled. The MTI Master Class for New Venture Teams and Research Impact is the foundational course for graduate students interested in the Management of Technology Innovation program. 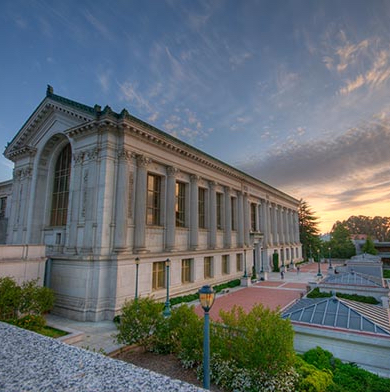 The course is based on a variation of the Berkeley Method of Entrepreneurship adjusted for deeper technology venture teams and for maximizing research impact in an industry context. The course prepares students for technology-based innovation and entrepreneurship. Students develop judgment though rigorous case study of innovation and business situations. Topics include opportunity recognition, ecosystem development, strategies for effective R&D, product management, market selection, direct and indirect sales, and funding models. The course also covers entrepreneurial and innovation mindset, risk, and leadership styles. The Newton Lecture Series allows students to explore entrepreneurship, innovation, and career opportunities. The course boasts a changing roster of innovators, entrepreneurs, and Silicon Valley executives. This course is one of two courses required for the Management of Technology Innovation program. In order for students to complete the program and receive the certificate, they must take the MTI Master Class (IEOR 290), the Newton Lecture Series (IEOR 295). Start with IEOR 290. IEOR 295 is often taken in parallel. Track I Teams must attend all bootcamps (February, March, April), attend weekly mentoring sessions, and present in the demo day to be eligible for prizes, compete for a larger prize, and receive the MTI certificate. Track II Teams are encouraged to attend both February and April bootcamps, must attend weekly case lectures, attend weekly mentoring sessions, and present on the demo day. Track II Individuals are required to attend weekly case lectures for course credit and are encouraged to attend the bootcamps. In order to receive the MTI certificate, individuals must join a team and follow Track I Team requirements (above) & take Newton Series (1-unit course). NSF program teams interested in receiving the MTI certificate and competing for funding must attend all bootcamps, the NSF I-Corps short program, and Demo Day. Optionally, these teams may attend the cases, lectures, and weekly mentoring. All final projects/ reports should be submitted using the SCET template in word and PDF formats, and will be posted under the archive section on our website. Once students have fulfilled all of the requirements, they should send an email to Jesse Dieker (jdieker@berkeley.edu) to receive the certificate.